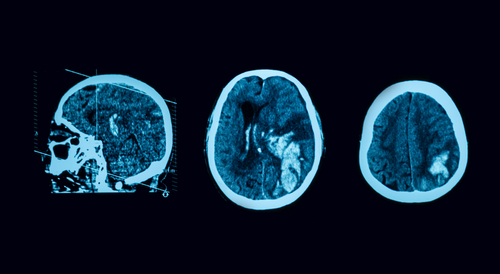 NPUSA nurses have reviewed a number of cases involving traumatic brain injury (TBI) in recent months. TBI is a complex subject and the diagnostic process is often complicated. Plaintiff and defense attorneys alike will find it helpful to review some facts. This month’s blog will discuss brain anatomy and function. Next month’s blog will review the specifics of brain injury and how it is diagnosed. Traumatic brain injury, or brain dysfunction caused by an outside force, often occurs as a result of a car accident, sports injury, or altercation. Half of all TBI’s are from motor vehicle accidents. Over 200,000 cases are diagnosed in the United States every year. The physical injury may involve ruptured blood vessels, or hematomas in the brain in addition to bruises, or contusions, of the brain. Brain anatomy is extremely complex. Scientists continue to study both its physical characteristics and the particulars of microscopic nerve fiber functioning. 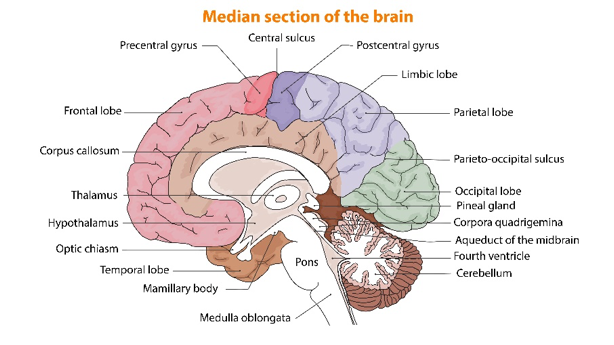 If viewed from a larger perspective, the brain is comprised of an outer layer known as the cortex which is divided into five lobes and the brain stem. A cross section of the brain, however, will show inner layers of anatomy. Additionally, an important neuroendocrine structure, the Pituitary gland, is located in the hypothalamus. Scientists continue to study the intricacies of how brain tissue coordinates the multifaceted, conscious functions of every human being. The “brain mapping” theory assigns specific functions to each lobe of the brain. The frontal lobe is involved with personality, emotions, speech and motor functions. The parietal lobe interprets language, perceives sensory stimuli such as pain and temperature, and is involved in spatial and visual perception. 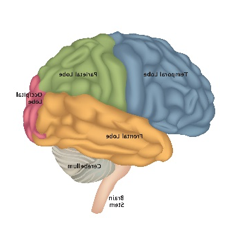 The occipital lobe coordinates vision, and the temporal lobe deals with understanding language, memory, hearing, sequencing, and organization. The pituitary gland, deep in the inner layers of the brain, secretes hormones which regulate functions of the endocrine system such as metabolism, growth & development, tissue function, sexual function, reproduction, sleep, and mood, among other things. The brain stem regulates vital functions such as breathing. 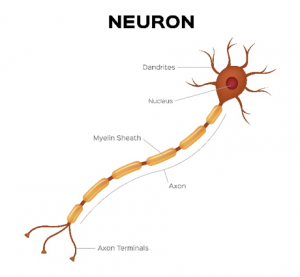 On a microscopic level, the long nerve fibers called axons connect brain lobes to each other. If the diagnosis of TBI has been made, the physician may refer to nerve tissue damage as “diffuse axonal injury” or “DAI”. Next month in Traumatic Brain Injury, Part II we will discuss specifics of the medical records that may prove or disprove TBI.